A very big thank you to our school families and local community members who helped the school collect 39,820 vouchers as part of the Coles Sports for School program during term 1 and term 2. With the enormous effort from collecting the vouchers the school was able to exchange the vouchers for sports equipment to encourage students to be healthy and active at school. 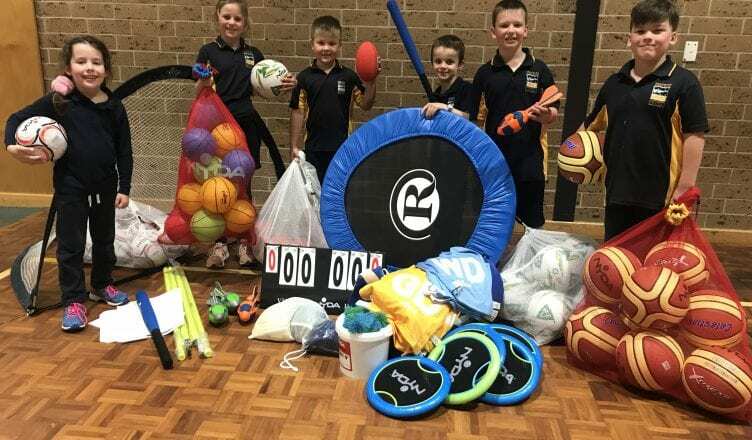 The sports equipment has arrived and we are very lucky to have equipment to the value of $1,962 for our students to use. Netballs, footballs, soccer balls, basketballs, playballs, high bounce balls, netball bibs, pop up nets, mini trampoline, foam baseball bats, bases, bean bags, flip scoreboard, bags, mini hand tramp game, vortex, athletics discus and agility poles make up the new sports equipment we now have at Craigburn.